Learn something new with our kitchen dimensions here. But first, see the beauty of the following interior designs! 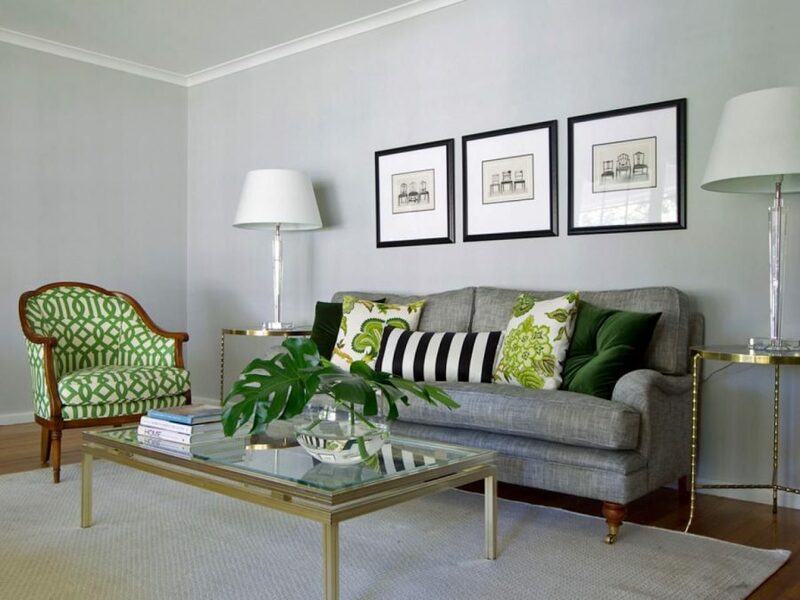 Grey color is perfect choice to paint the walls of the living room. but, if you want to break the monotony you need also to choose some other color that will be vivid. 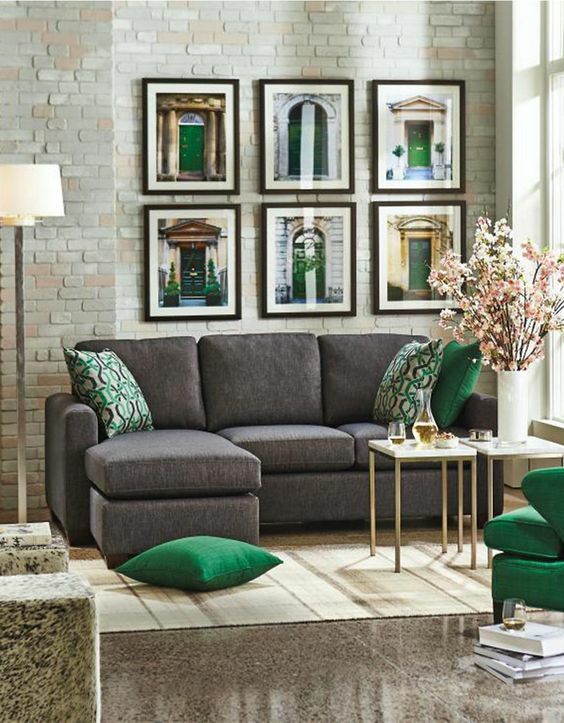 this type of color is green so you can add a green pillows on the sofa here. As you can see in the photo here, there is a use of green carpet and green sofa and also there is another sofa in grey. The walls are painted in grey which is the dominant colour of the interior here. See the photo to draw some inspiration from. In the interior here in the photo you have the chance to see a charcoal grey sofa, grey stone floors. You will see the use of dark green and dark grey which goest great. Let me give you some advice if you decide about the use of dark grey you must use the dark green too. Also, you can see in this photo that there are emerald and gold details that also helps in creating one chic and sophisticated look of the interior. feel free to copy the style for your home. There is actually different grey, light, dark, and there is also a different grey dark and light. 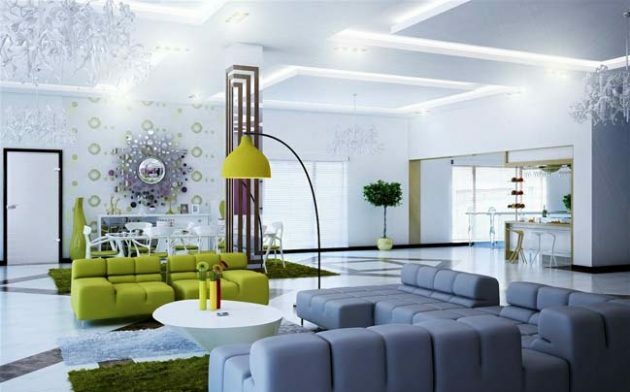 In the photo previously you saw the design of living room with dark grey and dark green. 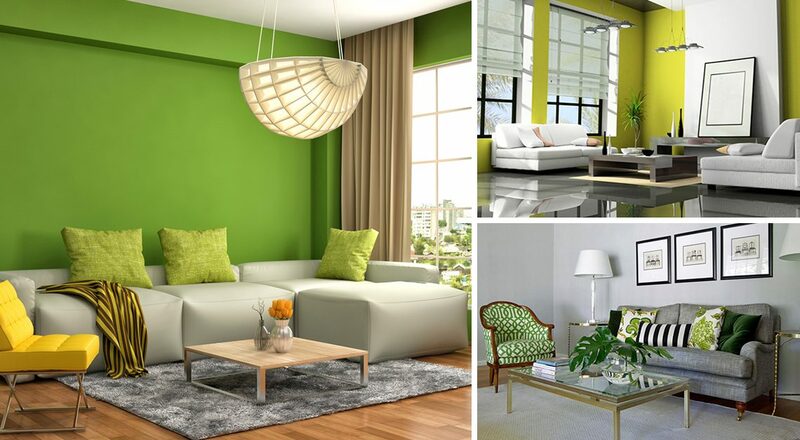 in the photo shared here, you will see how to design the same room with light grey and light green. After seeing the photo, decide which will be the choice that you are wishing for your own interior. By the way, you can use the same combination for the other rooms of the house. 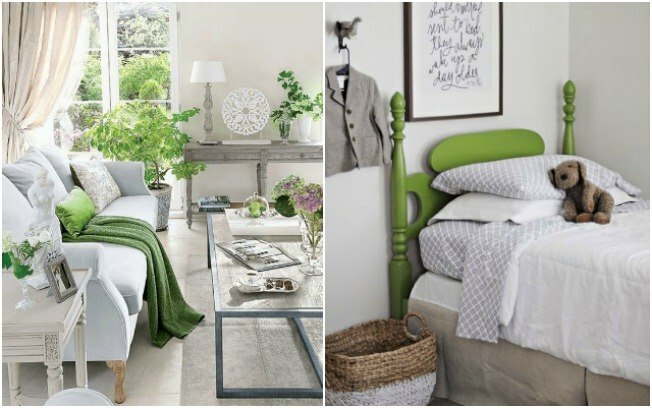 I really hope that you liked our combinations of green and grey for interiors. Keep following our page in future for finding other ideas and combinations about living room place which is the most important room of the house. Thank you so much!